It’s safe to say I don’t love this to pieces. It’s just OK. But I’m happy to give Zipcar kudos for making a good idea work, and then putting out ads that communicate pretty well what makes it a good idea in the first place. Now we watch as the big guys scramble to keep up with the good idea. Sorry Hertz, no amount of copying from the smart guy’s homework is gonna get you that A+ your mommy is hoping to tack to the fridge. Thanks to P*S* reader Brett Essler for suggesting these. The copycat color choice by Hertz is despicable. I hope Zipcar crushes them. I kinda disagree on this one. I like the green photos in the Hertz piece. I think the first ad communicates the message better but they both look decent... neither seem pr*tty or sh*tty. JLeff - I would mostly agree, although the Connect logo is a total dog dropping. The point was mostly to call out Hertz for drafting on Zipcar's momentum. 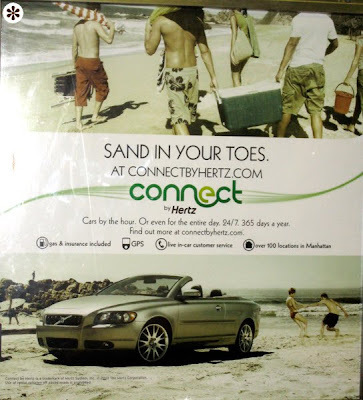 The Hertz one is terrible. Devoid of any life, and who drives Volvos?? 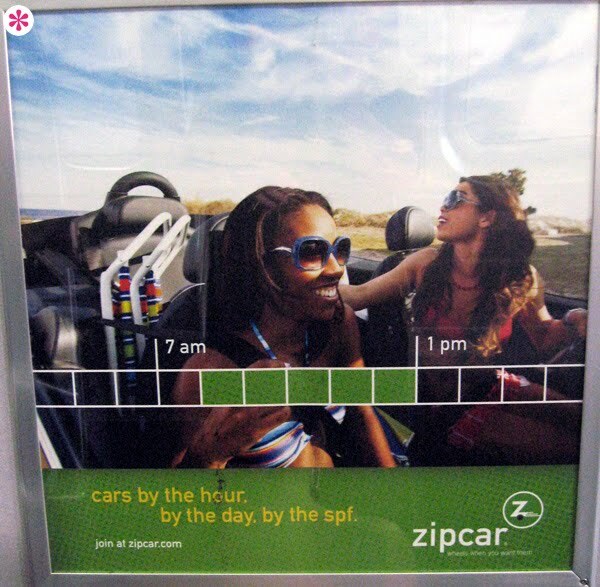 Finally although it isn't related to the design, the Zipcar slogan is much much much better.